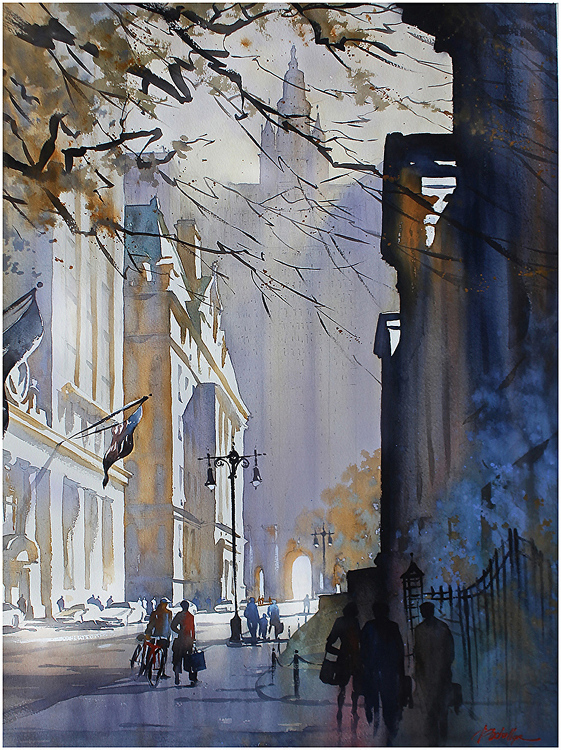 popular watercolor painter and respected teacher Peggi Nero Habets. 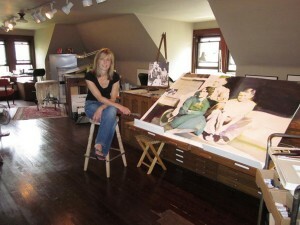 Peggi lives and works as an artist in her hometown of Pittsburgh, Pa. Her deep love for the fluidity and spontaneity of watercolor has led her to paint and teach in the medium for over 15 years. 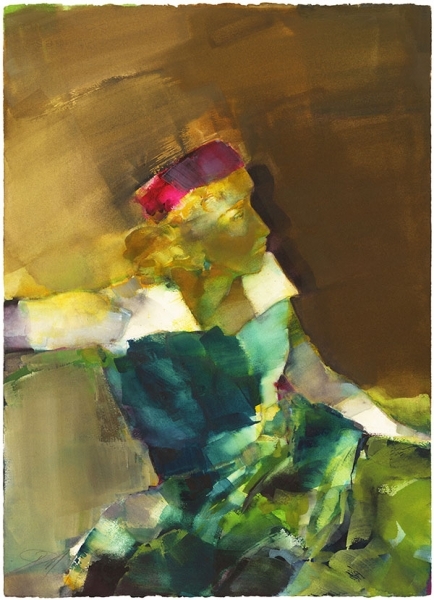 Her figurative and cityscape paintings have been exhibited and collected internationally and she has received awards in many prestigious shows, including the National Watercolor Society and the American Watercolor Society International Juried Exhibitions. 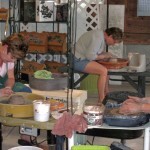 Learn to work on the potter’s wheel and various handbuilding techniques. 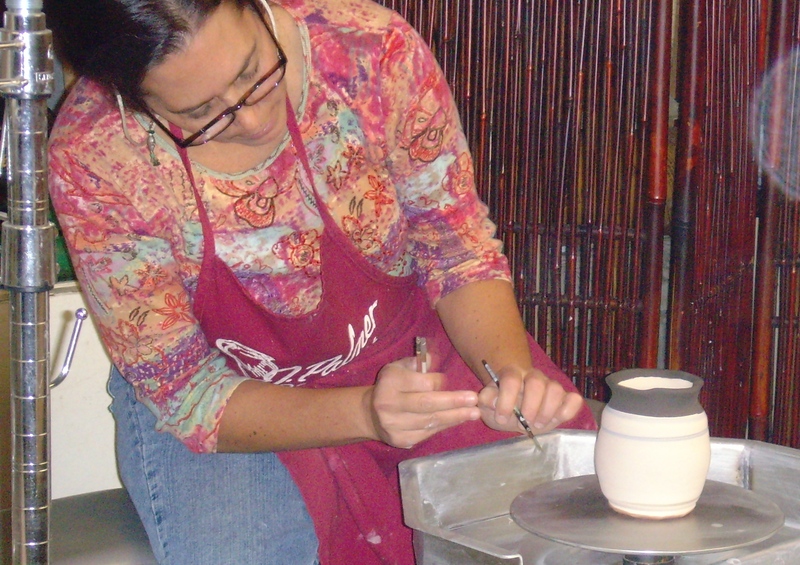 Includes lead-free glazes, clay, and firings for class projects. contrast; and most importantly a purpose for creating art in your unique style. Jeannie hopes to inspire individual expression and encourage students to go beyond their current work level, to aspire to create exhibition quality works. Jeannie McGuire, a Pittsburgh-based watercolor artist, strives to invoke individual interpretation through her artwork, which impressively utilizes a free application of paint and stylistic forms of expression. 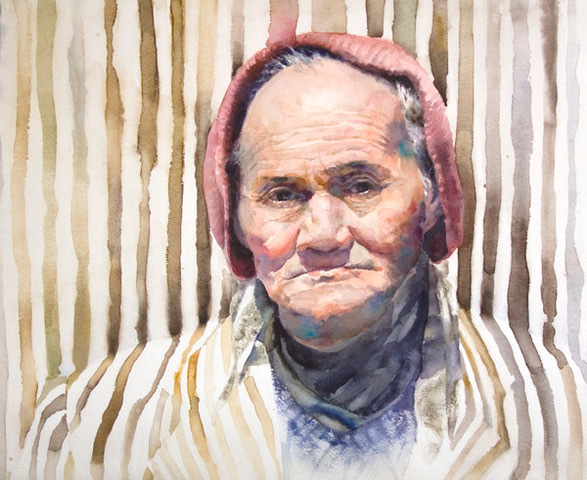 Narratives are communicated in such works as “Kenneth,” the American Watercolor Society’s 144th Gold Medal of Honor selection. 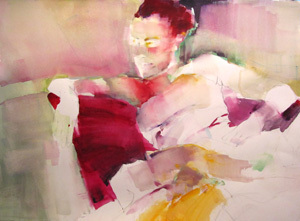 McGuire uses her own photography, acquired snapshots and life drawings to spark her creativity. Her work has been described as a brilliant combination of emotion, movement, and artistry that has been expanded upon from her days as a commercial graphic designer and photographer. Impressionistic in nature with an identifiable subject, her strong, figurative approaches are unique in more ways than one. As is the case, her works have been displayed and awarded on an International level and represented in numerous art magazines. 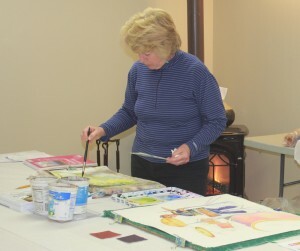 In Jeannie’s Figurative Design Watercolor Workshops she shares many aspects of her art with students. 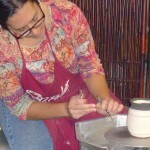 A two-day workshop introduces her style and process with one or two projects. 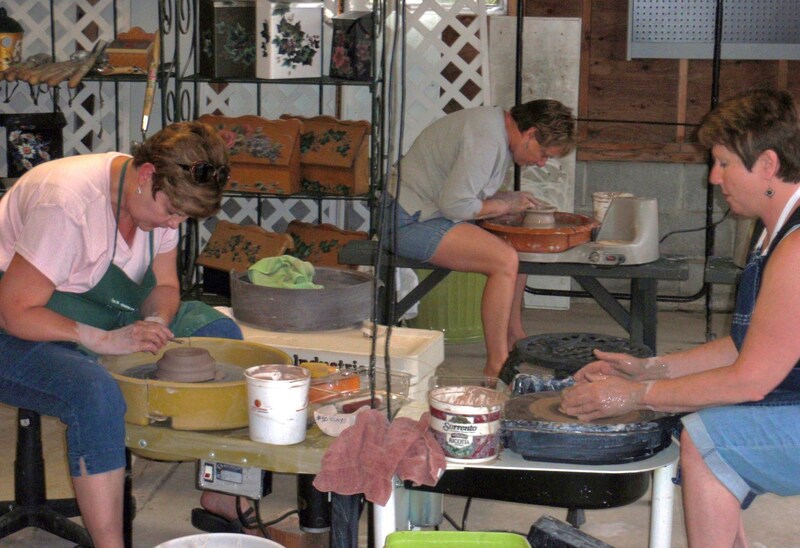 Three-day workshops allow for three versatile projects, while additional days allow for extended experimentation. 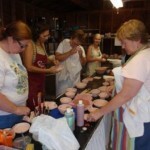 Workshop instruction focuses on creating paintings of people as works of art worthy of exhibition. Students will explore the interplay between the figurative subject(s) and their backgrounds, natural design in reference materials, size, shape and cropping impact, pigment maintenance, intentional and spontaneous marks, use of titanium white, and the freedom to change ones mind. Each day begins with a demo pertaining to the days project such as: exploring eyes and faces in an unconventional way, focus on a single figure with an obscure background, and intertwine a group of people with their background elements. 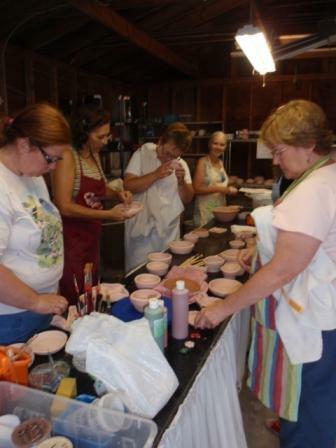 Artists receive plenty of personal attention and painting time. A group critique is usually reserved for the last afternoon. Students are to bring their own personal photography or other acquired photos and snap shots to reference. Include posed and un-posed figure(s) and face(s). Look for eyes, emotion, movement, gesture, single figures and groupings, interesting poses and background elements. Pre-drawing from a few references is optional; adjustments may be needed for the project. The following supplies are considered essential; a few are noted as very helpful. Paper: Cotton/100% rag artists’ watercolor paper such as 140 lb. Arches, Lanaquarelle or other known brands, quarter to full sheets. A variety of paper surfaces such as hot press, cold press or rough are helpful. (Do not apply paper mediums). Paint & Palette: Watercolor pigments; semi-transparents, opaques, values, fun colors and titanium white watercolor pigment. A large palette is helpful. 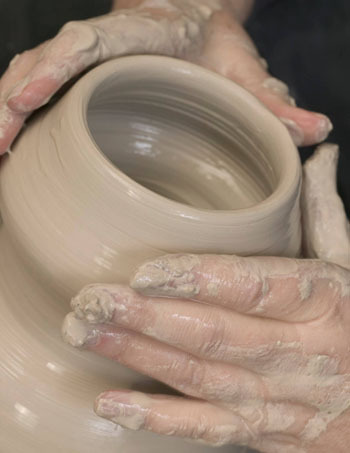 Squeeze fresh pigments into the wells so fluid paint may be used instead of dried paint. Brush collection: Include at least one 1½” or 2” flat brush such as Robert Simmons SkyFlow or other known brand. Tabletop work surface: Board should be slightly elevated. Magnifying lens: A linen tester or loupe, 1” 6X magnification, is very helpful in seeing photographic detail. Beginners to advanced painters welcome. Individual attention is given to each student as these are small classes.